Drones are slowly but surely becoming part of the equation for emergency services for jobs like search-and-rescue or avalanche prevention. 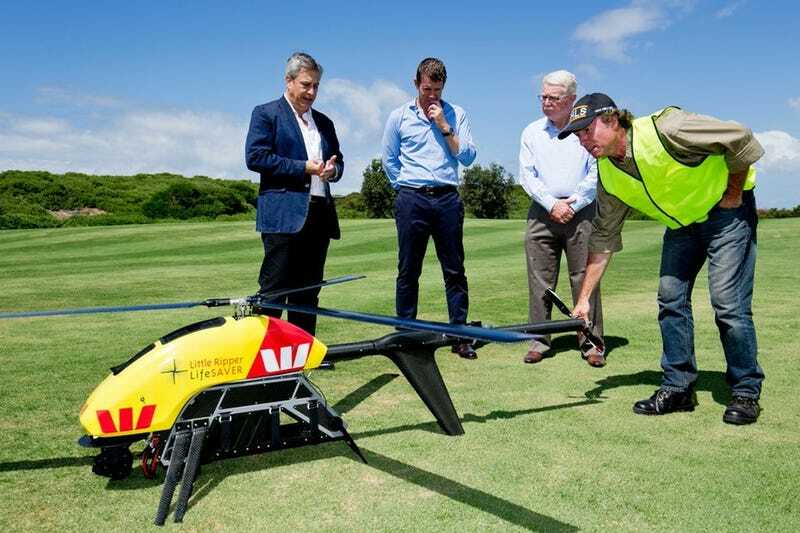 Australia’s taking things a step further, thanks to the introduction of a long-range helicopter drone to help with a very Australian problem. Little Ripper is a modified version of a military drone, and has the kinds of specs you’d therefore expect: flight time of two and a half hours, range of 60 miles, and a range of daytime and infrared cameras. The plan is to use a fleet of Little Rippers to patrol the beaches and coast of New South Wales, relying on human operators and pattern-recognition algorithms to detect shark attacks. The drones aren’t there just to observe, either—they can carry payloads such as liferafts, defibrillators, or positioning beacons. The overall mission is interesting on its own—New South Wales saw 14 shark attacks in 2015—but it’s also a watershed moment for drone operations. Current commercial uses of drones are limited to within visual flight range, a mile or two at best. Little Ripper will be operating in airspace shared with manned aircraft, and the success or failure will set the stage for future rescue missions—and yes, Amazon’s long-term plan to bring you a pair of shoes with a drone.